Louisiana's legal online gambling environment is entirely supported by licensed offshore platforms as the state has yet to move on regulating domestic online offers. Currently, LA players have quite a variety of entertainment including genuine New Orleans culture and thriving gambling industry. This guide will explain the status of online gambling options, local gambling opportunities in Louisiana, and how the state and federal government look at licensed offshore online gambling. Lastly, we will provide links to verified and legitimate online gambling sites. There are a number of land-based and riverboat casinos located in LA, some of them tribal-owned while others are privately owned. Louisiana also supports real money poker games, slot machines, video poker machines, pari-mutuel wagering on horses, charitable wagering, and racinos. While LA does not have a legalized state-regulated online platform it is illegal to run a gambling site within the state's borders without licensing and legislative authorization. The punishment can include jail time up to 6 months and a fine of $5000, or both. Louisiana has yet to regulate domestic online gaming thus this option is not available. However, state laws in Louisiana do not prohibit players from engaging in legal online betting at sites that are licensed and regulated outside of the United States. There are also not any federal statutes that outlaw Louisiana players from engaging in legally sanctioned online gambling based offshore. Louisiana residents who are seeking licensed and regulated online gambling options will find that Bovada provides a premium experience. They cover a variety of gambling platforms, including casino, sports betting and horse racing. They include a mobile betting app that is compatible with all primary service providers and most smartphones and tablets. 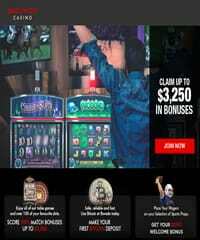 Their casino welcome bonus is worth up to $3,000 and players looking to bet on sports can claim their 50% bonus up to $250. Are Casinos Legal in Louisiana? While these casinos only accept those at least 21, 18 year old LA players are left out. This is why we recommend young adults use licensed offshore online casinos to enjoy casino games but players who are twenty-one are welcome to check their selection. Is Online Casino Gambling Legal In Louisiana? Due to strict state law, it is illegal to own or operate an online casino website within the state of Louisiana. The result of this law is that there are not any state-regulated online casinos available to residents of LA until legislation is passed which changes that. Luckily, this law does not apply to online casinos that are licensed, regulated and located outside of the United States, so Louisiana residents are able to legally access and enjoy online casinos there. The online casinos that we have recommended here have all been vetted by our team of online casino gambling specialists who are experienced in analyzing the quality, value, and legitimacy of any brand in the industry. Below are brands which are US friendly and accept players from Louisiana who are at least eighteen. Louisiana has expressed interest in domestic betting but has yet to pass any laws which permit this gambling form. Many US states have legalized sports gambling within their borders since PASPA's removal. In 2019, LA submitted a sports gambling bill to their legislature which could spotlight local teams like the New Orleans Saints, LSU Tigers, and the New Orleans Pelicans. Is Online Sports Betting Legal In Louisiana? No, Louisiana has yet to regulate land-based betting let alone online wagering. Nonetheless, interested LA players can wager online as young as eighteen through licensed offshore sportsbooks. There are no state laws which explicitly prohibit LA players from gambling on these licensed offshore sites, and federal laws are limited to their jurisdiction and do not forbid this access. Below is a recommended list of licensed offshore online sportsbooks which accepts players from Louisiana who are at least eighteen. Our team of professionals have vetted each brand for security, licensing, regulatory compliance, quality, competitive odds, robust bonus offers, and payout reliability. Is Poker Legal in Louisiana? Poker gambling is legal within Louisiana casinos. However, poker games are strictly for those over the age of 21. Therefore, LA players who are either eighteen or older interested in poker gambling can use licensed offshore online poker sites. Is Online Poker Gambling Legal In Louisiana? Louisiana's positive stance on poker gambling may mean the state will eventually legalize domestic online poker but does not currently support such platforms. There are a handful of legal online poker sites that are licensed, regulated, compliance certified, and located outside of United States that welcome poker players from Louisiana. These are permitted because the state does not have laws specifically outlawing their use, the federal government does not have any US laws against this form of online engagement either. Our team of industry professionals has a combined range of experience that spans decades. This team has carefully examined and evaluated each of our recommended poker sites below to verify that they hold the proper legal credentials, high-end security profiles, a banking suite that supports the US players, and excellent poker software quality. I'm concerned about the security being effective at offshore gambling sites – is it really safe for Louisiana residents to gamble online at these website? Those offshore gambling sites that hold legal licensing are subject to regulatory oversight and licensing requirements. Two of the primary elements that are monitored in the business are the security profile and fair gaming practices of each operation. Compliance with security regulations and protocols is mandatory, and we have found that our recommended gambling sites typically exceed minimum standards and requirements concerning security on their site in general and in their banking suite. These sites are also randomly audited by third-party authorities to ensure fair gaming practices are adhered to. The key to landing at a genuinely safe and secure destination is to only visit those sites that have been professionally vetted by online gambling analysts, such as our team. 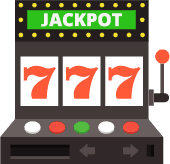 How do I get paid if I win at an online gambling site that is located in another country? Getting your money from overseas gambling sites is actually not difficult. The most popular payout options for Louisiana gamblers include check by courier, bank wire transfers, cryptocurrency, and person to person money transfers. Due to the restrictions enforced by the UIGEA law, in most cases having your funds transferred to your credit card is not an option, even if you used it to deposit your funds. These options mean you don't have to travel to that country or anything crazy to claim your winnings/account balance. What is the likelihood of Louisiana embracing state licensed online gambling? It is likely that will more US states moving toward online gambling expansion that states like Louisiana will follow suit. However, the state has not introduced a bill to legalize online gaming and thus we cannot accurately predict a timeframe in which the state will regulate online offers. Nonetheless, licensed offshore online options remain legally viable. What is the legal gambling age in Louisiana? The state of Louisiana has multiple age requirements that are dependent on the type of gambling in question. Players must be a minimum of 21 years of age in order to participate in playing the lottery, casino games, poker, gambling at racinos. Players must be at least 18 years of age to engage in pari-mutuel betting on horses or charitable gambling in the form of bingo. When will Louisiana legalize sports gambling? Louisiana recently submitted a bill to its state legislature to expand domestic gaming options to include wagering and other gaming activities. HB 498 is the bill in question and provisions are currently written so tax revenue would support early childhood education initiatives. The bill calls for an 8% tax on the betting operator's adjusted gross revenue and a $5,000 application fee for licensing by the state.